Donemana CC, winners of the Bank of Ireland North West Senior Cup for the sixth year in succession. It’s another action-packed weekend in the North West this time with Sunday’s semi-finals of the Bank of Ireland Senior Cup taking pride of place among a plethora of fixtures. 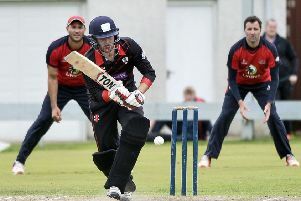 There is sure to be a huge crowd at the Holm as Donemana continue their quest for seven cup wins in a row with a crunch last-four clash with Brigade. These are two teams who need little introduction to each other and there will be a cracking atmosphere at the Tyrone village venue- especially with so much at stake. Brigade have lost to their hosts in three of the six previous finals and Andy Britton’s men have their work cut out to find a formula to prevent it happening again. It’s a big ask- the Beechgrove boys have been far from at their best in their own right in the past few weeks and three league defeats on the bounce tells its own story. Donemana crushed the Waterside club on their own patch at the start of that miserable run and they start hot favourites to book another final berth. Ironically if there is hope for Brigade it may be in the fact that the Holm almost suits them better in these shoot-outs. Certainly Donemana’s spin attack doesn’t have the same level of help and cover at home that it often gets on the Limavady Road. Still, you have to think that the momentum that Ricky-Lee Dougherty’s men have in this competition will make their colours very difficult to lower here. The winners of that one will meet either Eglinton or Newbuildings who are set to lock horns at the Championship side’s new ground. Again there is likely to be a big, boisterous crowd at this one, especially if this spell of beautiful weather continues. Newbuildings are clear under-dogs and are another team currently out of form, however they are not without quality. They have a very useful batting line-up and if they get off to a flier, the Premiership team will have to work hard to claw them back. Stuart Thompson is one man the hosts will have to keep very quiet if they are to progress, but the truth is the visitors have potential match-winners in spades. While Marty Mehaffey’s team enjoy nothing more than a battle, they can’t really match the visitors’ quality. There’s a full league programme on Saturday with league leaders Bready entertaining Brigade at the start of a huge weekend for the latter. Coleraine make the slightly shorter journey for their away games as they travel to Eglinton, while Strabane host neighbours Donemana. Fox Lodge welcome Ardmore in a match the visitors can ill-afford to lose despite personnel troubles of their own. 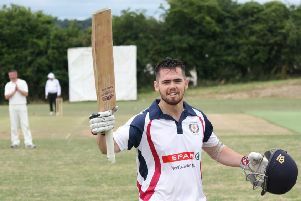 The Bleachgreen side have been without ‘keeper Kevin Martin and all-rounder Steve Lazars of late while the long-term future of Stephen Dunn is still unclear. There remains doubt too over professional Grant Mokoena albeit Ardmore are believed to have lined up a replacement for the South African.